Eva, thanks so much for your very lovely compliment. So glad you enjoyed this art and my gallery. Jerry, I appreciate your lovely comment. 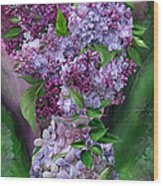 I have very fond memories of lilac bushes from my childhood, too, and enjoyed creating this art very much. Ronda, thanks for the 'wow'. 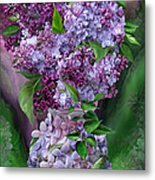 congratulations on your well deserved 1st place win.. stunning lilacs..
Congratulations Carol, your "Lilacs in Lilac Vase" won 1st Place in our Purple Passion Contest. Absolutely Exquisite work! Maria, thanks so much. I'm thrilled to have won 1st place in your lovely contest. Appreciate your comment, Roger and Terrie. Thanks for your lovely comment and fav, Andrea. This is an awesome piece and congrats. on your sale. Keep up the beautiful work. Thanks for your lovely comment, Earl. 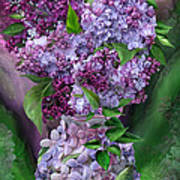 Very beautiful work, congrat's on your sale!! The favorite flower of Russian Impressionist, Sergei Bongart. Success to you. Thanks so much for your lovely comment, vote and fav, Henryk. 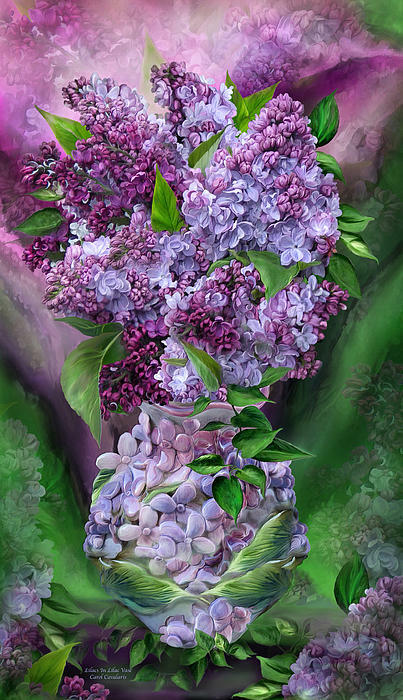 Lilac bouquet You bring all the feelings And sweet joy Of new love Blossoming on a spring day I want you to bloom forever And never go away. Lilacs In Lilac Vase prose by Carol Cavalaris This artwork of a romantic and luscious spring bouquet of lilacs in purples, pinks, and lavenders, within a matching lilac vase, is from the Flowers In Fancy Vases collection of art by Carol Cavalaris.